September 13, 2011 – Fort Worth, TX – DFW Elite Toy Museum is dog-friendly and we want all dog lovers to hold their clubs’ social and fundraising events for breed rescue here at the museum. At DFW Elite Toy Museum, we know it’s a dog’s life. Forth Worth entrepreneur and museum owner Ron Sturgeon is active in King Charles Cavalier spaniel rescue and recently hosted a social event at the antique toy museum for the Dallas-Fort Worth King Charles Cavalier Spaniel Club. Members were encouraged to bring their fur-kids and enjoy the museum and a presentation by Kristy Remo of Kristy’s Pampered Paws Mobile Pet Grooming that included summer grooming tips for KC Cavs. About 40 people attended the event and judging from photos and video, a good time was had by all – both two- and four-legged. Not only does the DFW Elite Toy Museum house over 3,000 rare toys and collectibles that Sturgeon has picked up over the years or received as donations, the museum is also a showcase for rare dog toy collectibles such as unique model cars with dogs and G.I. Joe and his K-9 pups. On the garage side of the museum, you and your four-legged friends can check out our full-size Ferraris, Lamborghinis and other exotics, and learn about our once-in-a-lifetime dream driving events. Open 9 a.m. to 5 p.m. weekdays and 9 to 4 most Saturdays, visit DFW Elite Toy Museum at 5940 Eden Drive in Haltom City. Admission is free. 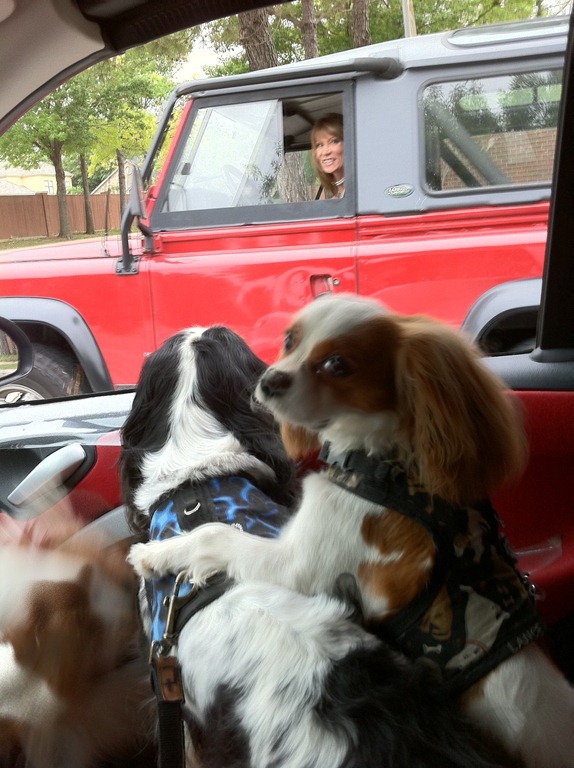 DFW Elite Toy Museum hosted a King Charles Cavalier spaniel rescue event in August. Check in with Ron’s Cavaliers, Willie and Dixie, the museum’s official greeters, and their adventures at spoiled cavaliers.com. Fort Worth State Farm agent Linda Allen pictured with a King Charles Cavalier.